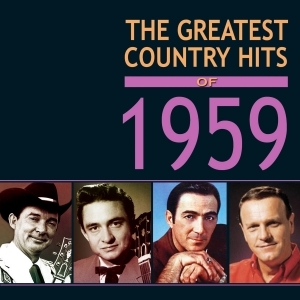 This release continues the series which we re-established in 2015 with a 4-CD set of “The Greatest Country Hits of 1958” and which comprises selected annual collections of the biggest US country hits of each year. This great-value 116-track collection follows on from that 1958 anthology, and includes every record that appeared in the Top 20 of the Billboard country charts during 1959, excluding those records which had already made the Top 20 and which therefore appeared in the 1958 set (there was insufficient space to include them again in this collection). The country chart had been rationalised in October 1958 into a single “Hot C&W Sides” Top 30 listing. With the new format and research basis, there are fewer pop and rock ‘n’ roll records featured in the country charts this year, and it provides a platform for the top country artists of the day, as well as a number of more obscure tracks which have not been widely available on CD. With an in-depth 10-000+ word booklet with background notes on every record, it gives a solid overview of the most popular country music of the year.